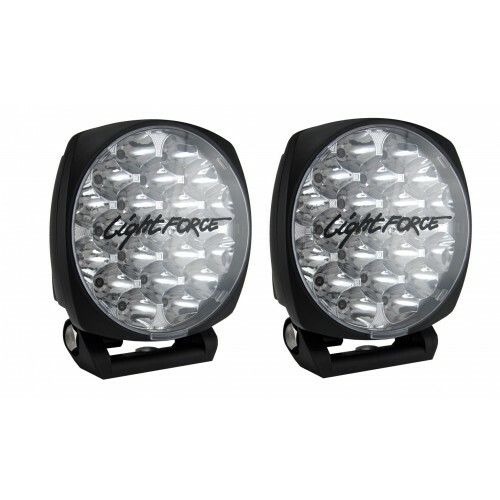 Lightforce Striker LED Driving Light pair DLSTRIKERLEDPK ON SALE NOW! 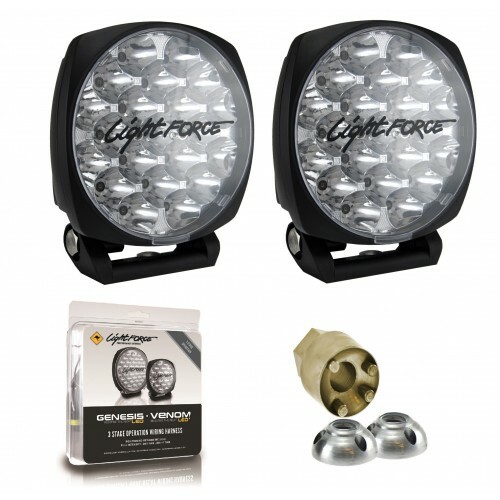 The new revolutionary Australian designed, engineered and manufactured Lightforce® Striker® LED driving lights are the latest addition the the Lightforce LED driving light range. 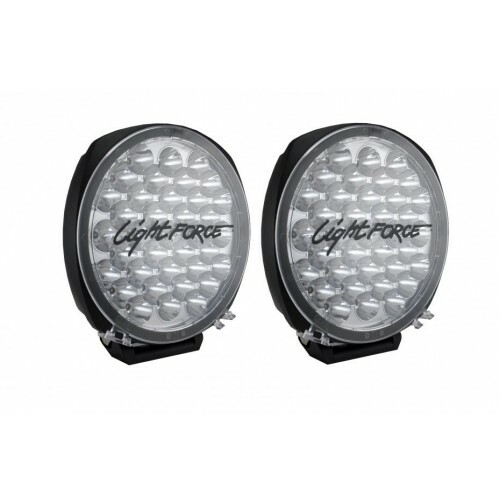 With a stylish rectangular form factor for a cool look on any 4X4, SUV or ute, and great all-round performance, the Lightforce® Striker® LEDs are the latest Driving Lights. 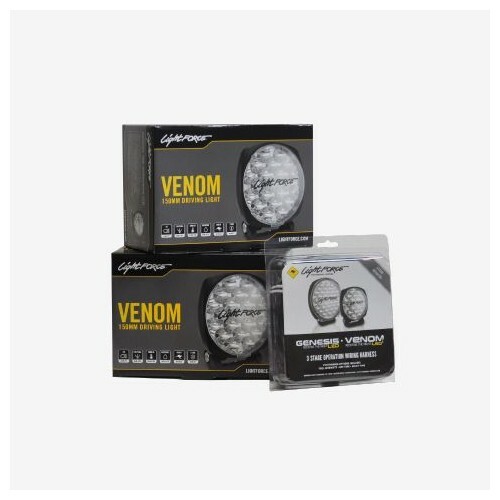 A pair of Striker® LEDs come with a complete DIY Installation Kit – the first kit of its kind in the Australian marketplace. 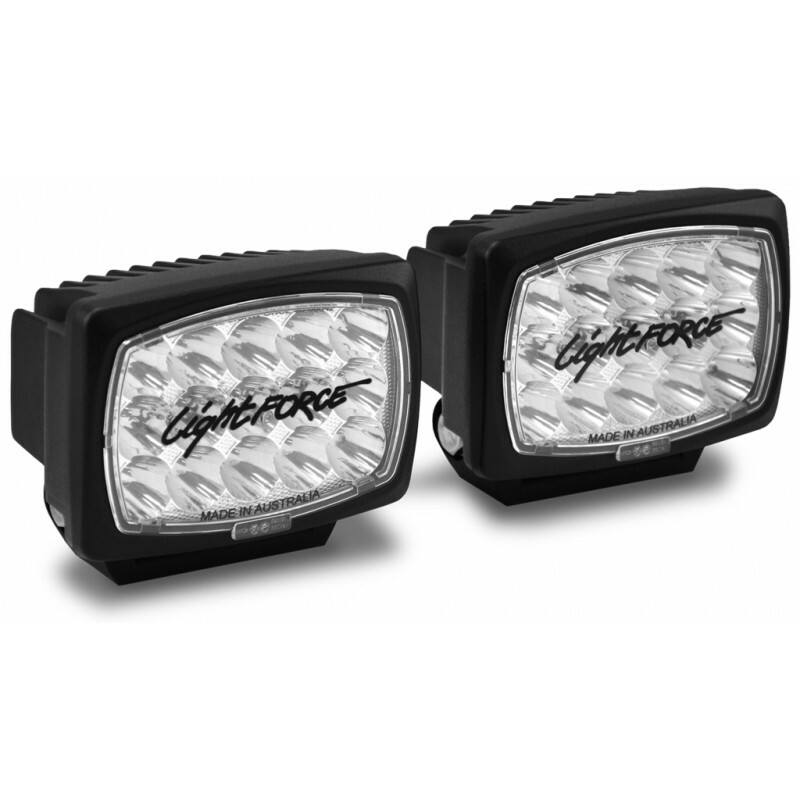 This makes Striker® LED more than just a set of driving lights, they are a great value driving light system. 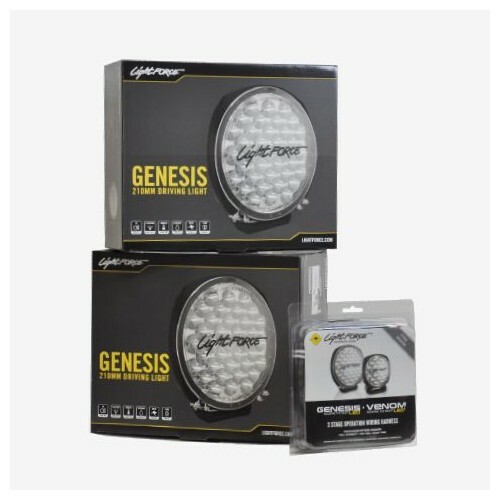 With each pair of Striker® LED lights your get a complete wiring harness, plug-and-play adaptors for your headlight’s high beam, a dashboard switch and all the consumables for the install. For the first time on a driving harness, all the wires are individually labelled so you can’t go wrong. Simple user instructions are included, and we have produced videos of installations onto different vehicles. 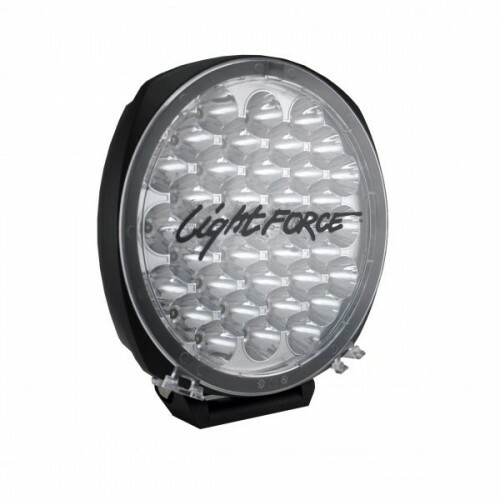 Australian made Striker® LEDs by Lightforce® are designed to perform to our consistently high standards. 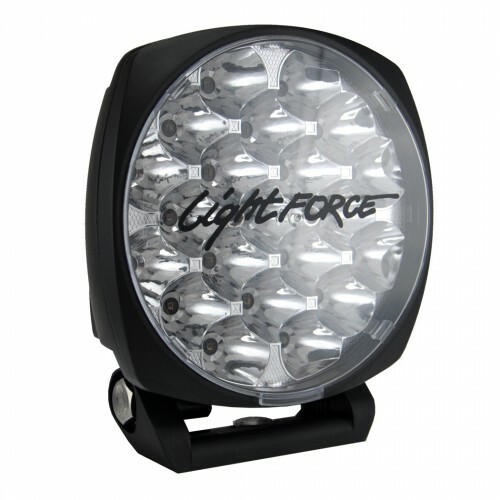 Their IP68 and IP69k ingress protection rating means they can handle a creek crossing and a high pressure washdown after an adventure. With reduced radio interference technology included, you can listen to the radio without static. 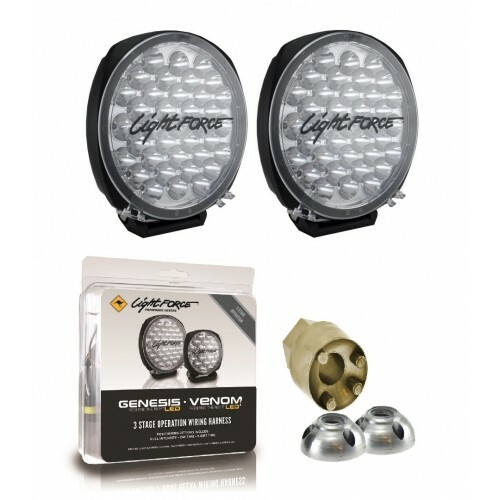 And a range of modular filters lets you modify the lights to suit your driving conditions.